Angelica Galvao doesn’t need to be introduced. She is a black belt under Andre Galvao, who happens to be also her husband and one of the world best male BJJ fighters. She is head instructor of the well known Team Atos and collects some great titles as Blackbelt World NoGi Champion and Europa Champion 2015. And when did you become mum? How old if your child now? My daughter was born in July 2006, she just turned 11. I was 20 when she was born. We enjoy each other company we have fun together and I would not change it for anything in this world. Did you train while you were pregnant? And how long after giving birth you started again? I did not train jiu jitsu, but I did keep my body in shape doing a type of workout we have in Brazil that is inside the pool, to avoid any impact. I did swim and lots of cardio. As I said, after 2 months I tried to return into Jiujitsu but could not keep it up. I had no one to watch my daughter during training, Andre was always super busy training and working to provide for us, so that’s when I started lifting. I would workout at 5:30am because that was the time Andre and Sarah were both sleeping. Lifting became another passion and I still doing it with consistency. Some mums find difficult to keep training when they have kids. They don’t know how to combine motherhood and training. How you do it? Who helps you? It is difficult, I agree. Since I got married, I never lived close to my parents, so I had no one to help me and I could not afford a babysitter neither. But I found a way to do something, in my case the only time was when my baby was sleeping. As she grew up, and started going to school, my schedule got a lot better and I would do as much as possible while she was at school. That’s how I still doing it. I wake up early every day, I take care of Atos Association, work at Atos HQ, teach twice a week, work on Andre’s agenda, train in my garage, help at church on Wednesdays and Sundays on top of being mom and wife. Life is not easy, the real Angelica is not as pretty as my pictures on instagram, my nail polish is breaking, my hair has lots of splited ends, leggings are my favorite pants (because it matches with anything), Im always grumpy in the morning until I have my coffee…Just like any other busy woman on earth. But I try, and try hard. No secrets. If it is a priority for me, I will do it. It is all discipline. I asked God so many times to give me 30-hour day instead of 24, but He didnt give me yet. Does your daughter/son train bjj too? She does not train often. And to be real, I don’t force. I will support her in whatever she wants for her life. Whe she does, are you her instructor? Does she see you as a mum or instructor when you are training together? I do teach her few stuff. She sees me as a mom, I can tell. Because when Andre teaches her something, she comes and asks me if that’s right hahahaha. And because of that I can tell she sees him as a dad, not as Andre Galvao. And this is great, that’s what I want for her. 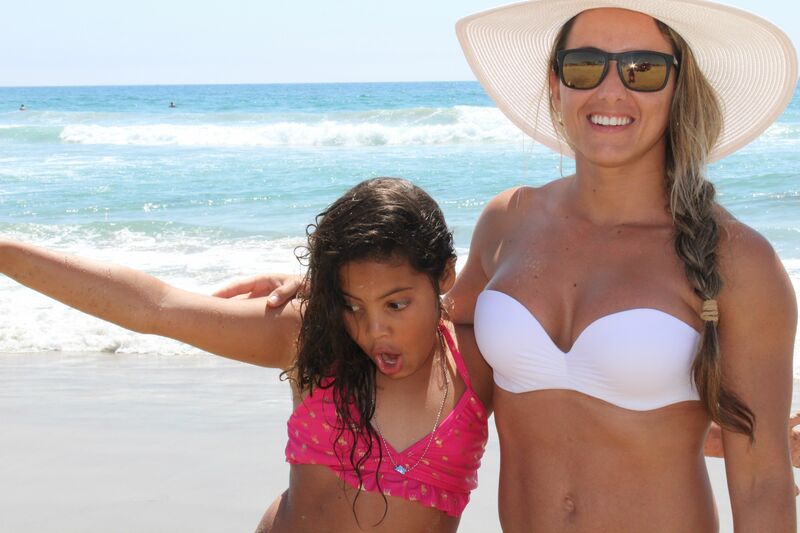 Hard to say, a mom is always denying herself, not by obligation but because a child is a mom’s greatest treasure. I can list many things, but the hardest one was when we spent 3 days at hospital with her because of a really bad allergy reaction to a poison plant that we have here in California. What I mean is that, I can find the balance or combine a personal career success with a solid family success. I can have achieve all the worlds titles, but if I failed with my family, those world titles will mean nothing. That is how I think. Does your daughter travels with you to competitions/seminars? If not, where does she stays? If we go on a trip to a nice place, where she can learn about different culture, see different things, different language, then we do our best to take her with us. If not, I stay home and only Andre goes. For competitions she is there with us most of the time. There are so many good things happening right now. 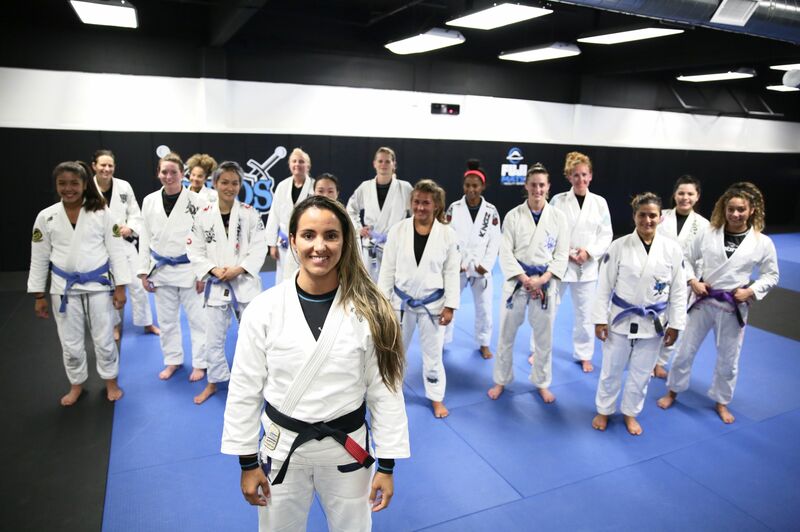 My focus is to continue working to have Atos as the best team of the World, teaching, training. If eventually the will to compete is in my heart again, then I will be there. That can be particular difficult when you are the wife of a huge name in the BJJ world. A world who unfortunately is still dominated by males. How does it feel to be Angelica Galvão? Does the people recognize you as Angelica, the great fighter you are, or more than the wife of Andre Galvão? How do you feel about it? I believe I have my own space, but I can’t deny that big part of it is because of him. First because all that I know in the sport I learned from him, and second because I’m his wife, we are walking together since he was a brown belt in 2004. It is a long journey and we don’t want/can’t split our images, we are married, we are one and that’s the secret of our successful relationship. I am also “Andre’s wife” because I really do my role as a wife. If I have to step back to support my husband I will do it, just as I have done so many times. Every time he wins I also win, before being an athlete, I am a wife. You can be the star of your own life in so many ways, that does not mean neglect the other responsabilities you have in life. Surely Andre’s light shines way more than mine, but our relationship is not to compete but to complete each other. Last but more important, recently there was an article on Flograppling where another female fighter felt like she had to choose between being a mum or competing at high level. You are an example that both are possible. what would you advice to the ther female athletes trying to combine motherhood and competition training? Each case is a different case, I don’t know her reality. In my case, I always focused on the things that I could do rather than the things I could not. Of course I was always there to win, but I was never a slave of medals. Once you become a mom, you can’t choose between one or the other. Because you already choose to be a mom. You can either be a mom only or a mom-high level competitor. If you have a dream, go chase it. You will never know if you never try. The NO is already granted, the YES must be chased. It is not easy, but yes it is possible. Don’t take the title “MOM” as granted. There are ladies working hard for this previledge. Dont be too hard on yourself but do everything with excelence. Of course, nothing comes without sacrifices, what do you have to sacrifice in order to achieve both: being a good mum and a good competitor? Yes, life is made of sacrifices. Nothing is given, all is earned. But sacrifices will only come when you have priorities. In my opinion, the moments with my daughter that I sacrificed because of training, diet or competitions were the most important ones. Because I know that I can never live those moments again.